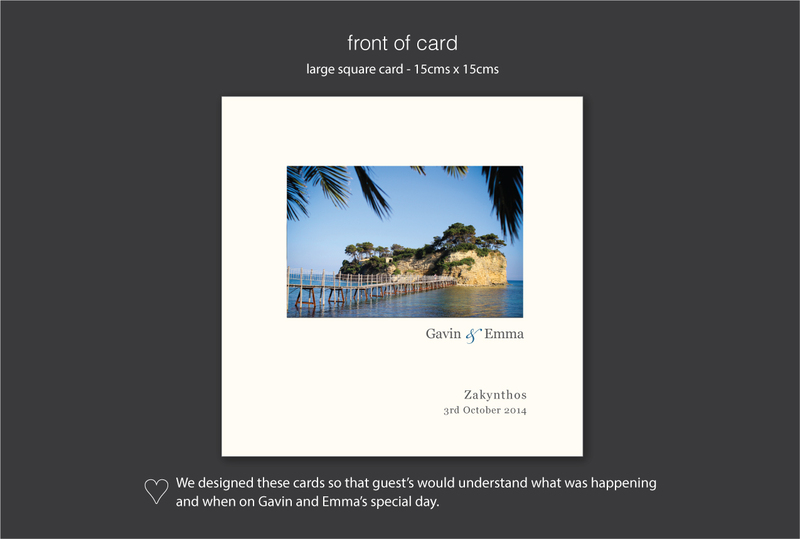 Using a photo of the venue is a really personal way of creating your order of the day cards. We used this picture of Cameo Island for this example. Gavin and Gemma wanted their guests to know when all the different parts of the wedding would take place so they wouldn’t miss out on any of the main events. 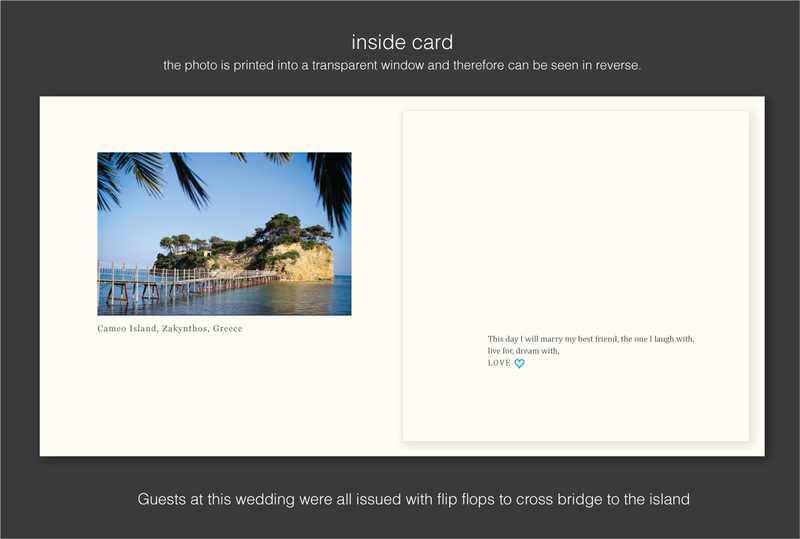 They also wanted to use the cards to thank their guests personally for joining them on their special day in Zante. 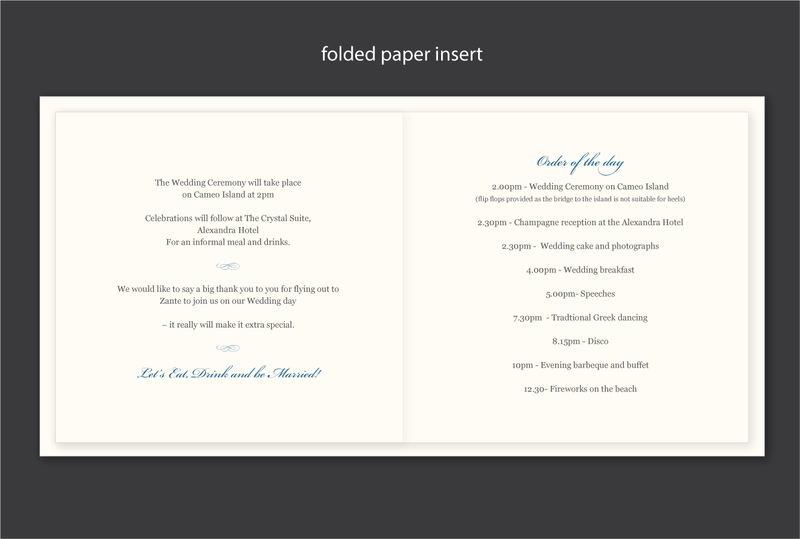 Just tell us you like the ‘Cameo Island sample’ if you would like to use any design details from this example.